Sarazm – first monument of World Heritage in Tajikistan. This ancient settlement (IV—II millennium B.C.) located 15 km. to the West from the regional center Penjikent on the left bank of the Zeravshan river. The name “Sarazm” origins from old Tajik word “sarizamin” (beginning of the earth). This ancient settlement was discovered in autumn 1976 by the archeologist Abdullodjan Isakov, when one citizenship of the village Gurach, veteran of the Great Patriotic War, Ashurali Taylonov decided to tell Abdullodjan Isakov, worker of Penjikent archeological base, about the bronze axe, which was in his house for 6 years. 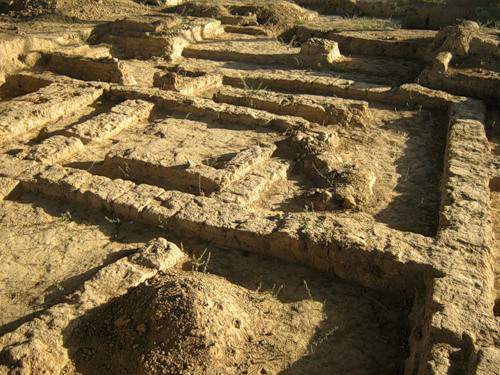 On the place of unknown ancient monument Sarazm there were works on grading of earth. The collective farmers and local citizenships often found during the works the antique things, such as safe jugs, bronze tools, decorations and others. Under their lack of information they did not tell the historical museum about it. Palace and cult constructions, public and dwelling buildings, which are in good condition are of great historical and cultural value. 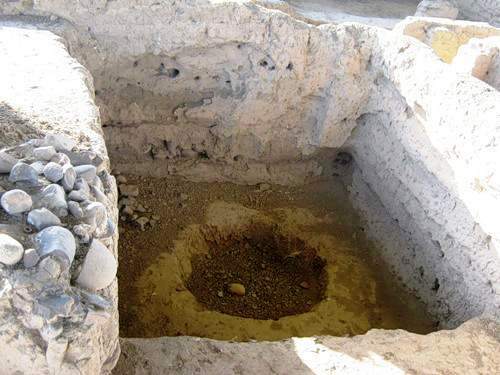 During the excavations the metallic and stone products as well as jewelries and treated sea shells were found. The destruction of the settlement concurs with the invasion of nomadic Indo-Iranian tribes on this territory. Stable economy and a highly developed material culture of Sarazm were the characteristic features of Zaravshan center of early agricultural cultures of Central Asia. The inhabitants of Sarazm, expanding the area of the contacts, to the middle of the IV millennium B.C. established cultural and trade links with ancient agricultural centers of South Turkmenistan, Iran, Belujistan, India and Afghanistan. Thus, the settlement Sarazm is a unique monument that reflected a variety of cultural ties and contacts of the peoples of late Stone Age and Early Bronze Age. In 2010 by the decision of UNESCO Sarazm was included to the list of monuments of World Heritage.